Abu Dhabi: The 2018 season couldn’t have turned out worse for India’s Arjun Maini. The 20-year-old Trident Racing driver’s Formula 2 Abu Dhabi feature race ended as soon as the lights went out. DAMS driver Nicholas Latifi stalled on the grid at the start of the race and several drivers were seen taking evasive action but Maini was not so lucky and rammed into the back of the stationary car. Such was the impact that FIA race director Charlie Whiting was seen ducking as the crash happened just below the starter’s box beside the Yas Marina track. That incident summed up Maini’s forgettable season where he sits a lowly 16th in the standings with 24 points, with his best being three fifth-place finishes. “It has been disappointing to be honest because we had a lot more promise and we haven’t shown results but the qualifying pace has been quite good usually. 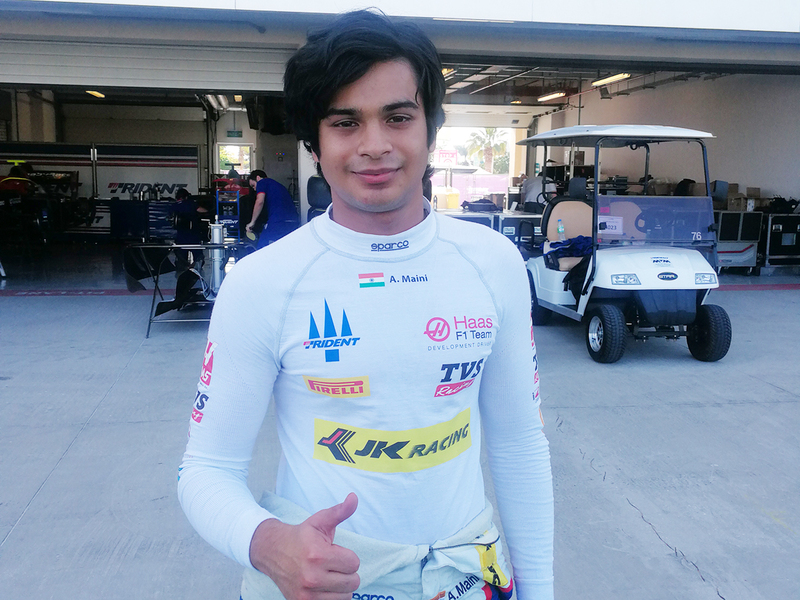 Struggled a bit in the races with different things but stuff sometimes are not in control but it has been a good learning experience,” said Maini, whose future with Formula 2 is also in doubt. His contract with Trident is yet to be renewed and one of the drivers replacing within the team is already decided. Former Formula One driver Jean Alesi has already booked a seat for his son Giuliano, who is graduating from the GP3. “We don’t know what we are doing yet. So, it is always that time of the year where you are not quite sure where you are. But it should be a lot clearer in a couple of weeks,” said Maini accepting that it is a “tricky” situation at the moment for him. “There’s also other options like Super Formula in Japan and tuff like that. At this stage, it is quite open and it just depends on where we get the better offers,” said Maini, who also agreed that it will be fair to say he missed out on an opportunity.